Are you ready for Entrepreneurship? 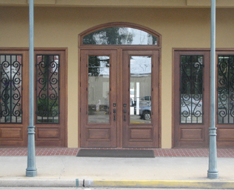 The following is the steps and guidelines in starting your business in Picayune, Mississippi. Create a Business Plan outlining the type of business you are opening along with an executive summary, company description, market analysis, organization & management, service or product line, marketing & sales, funding request, financial projections, and appendix. Choose Your Business Structure and file according documents at www.irs.gov – Sole Proprietor, Partnership, LLC, Corporation, etc. Choose Your Business Name, Register Your Business with the Mississippi Secretary of State www.sos.me.gov. Obtain Business Licenses & Permits. One of the permits necessary in Picayune is getting a Privilege License DownloadThe Small Business Administration is a helpful resource and plays a role in preparing new business owners for entrepreneurship. Visit www.sba.gov to learn more.